Orientation is finally over and it was densely packed with workshops on precautions and the expectations of India. 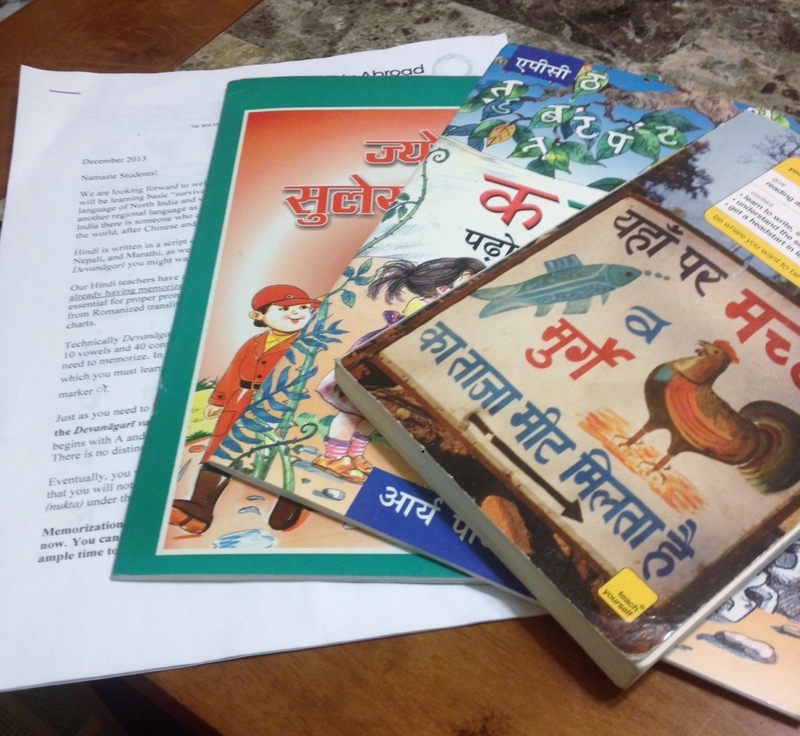 We learned about the history of India as well as the current issues that the country is facing. However, we weren’t in class all day, we visited Raj Ghat, Delhi Hut and the Khan Market. Also we have been settled within our homestay for about 24 hours already. All together, things are going so well, I might end up living here. We’ll see. 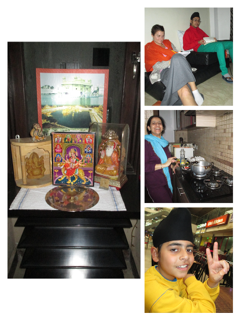 We started our home stay experience yesterday and we are living with a Sikh family. We have a mother and father with two little brothers. One is ten and the other is fifteen. Their names are Manjeet, Sonia, Manmeet, and Asmeet. I love having another little brother because I definitely miss my little brother back in the states. They are treating us greatly and feeding us well. 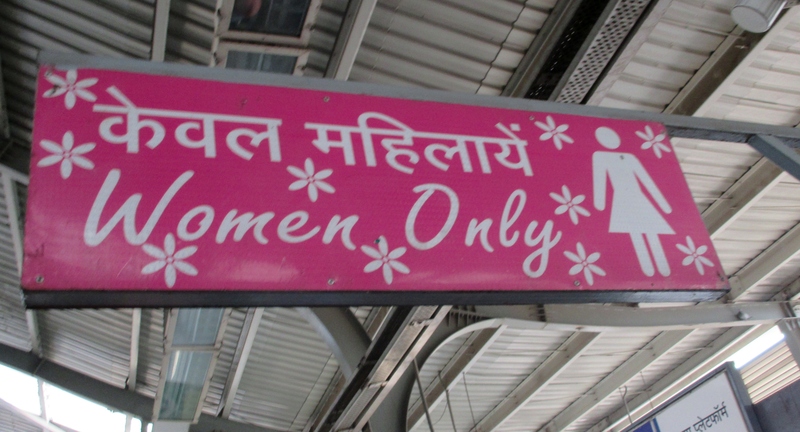 In Indian culture, people of the same gender can share a bed. My roommate and I share a huge bed but that’s not a problem because it is like sharing a bed with my sister. 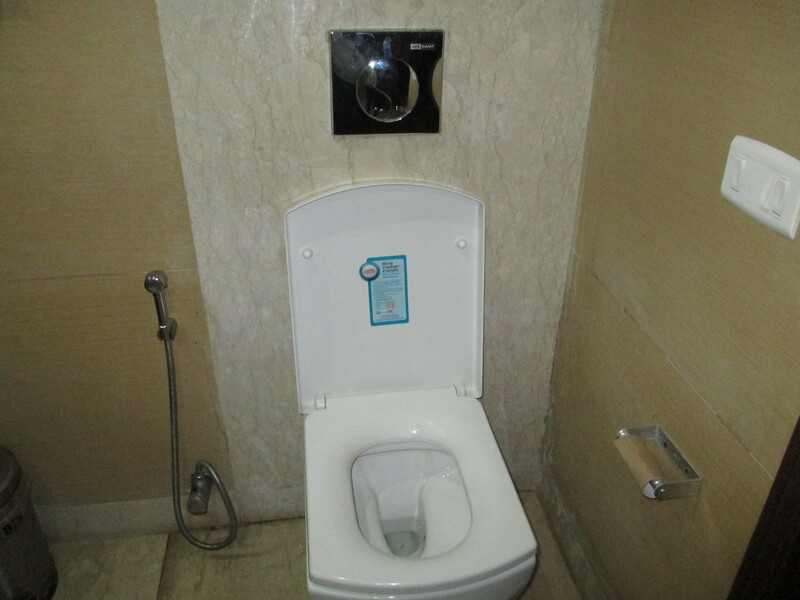 Also we are learning to get used to a toilet with no toilet paper. I’ve been cleaning my bum with a hose type of device. It has actually been very refreshing. We are also living in an “up and coming” middle class neighborhood with our own park and sports complex. 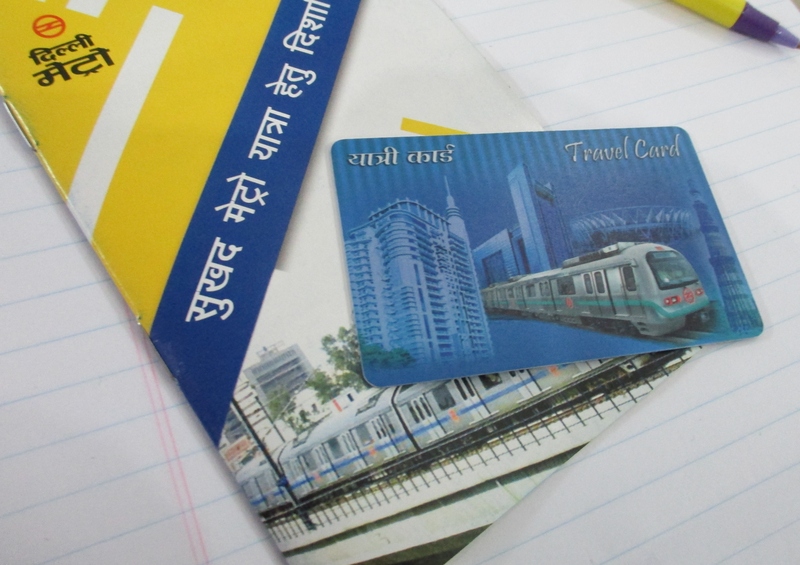 One of the days during orientation, we had a scavenger hunt to better affiliate ourselves with the city of Delhi. It was actually very helpful; we learned how to navigate the metro. The metro is better than the subways of New York. The metro has a “Women Only” cart, the purpose of this is to protect women from being harassed from men at any time of the day. They are serious consequences from the metro police if a man is found on the cart. However, boys under the age of 18 are able to ride with their mothers. There are also cameras on every cart which is watched at all times. In the carts there are also charging stations where you can charge your phone, tablets or laptops. 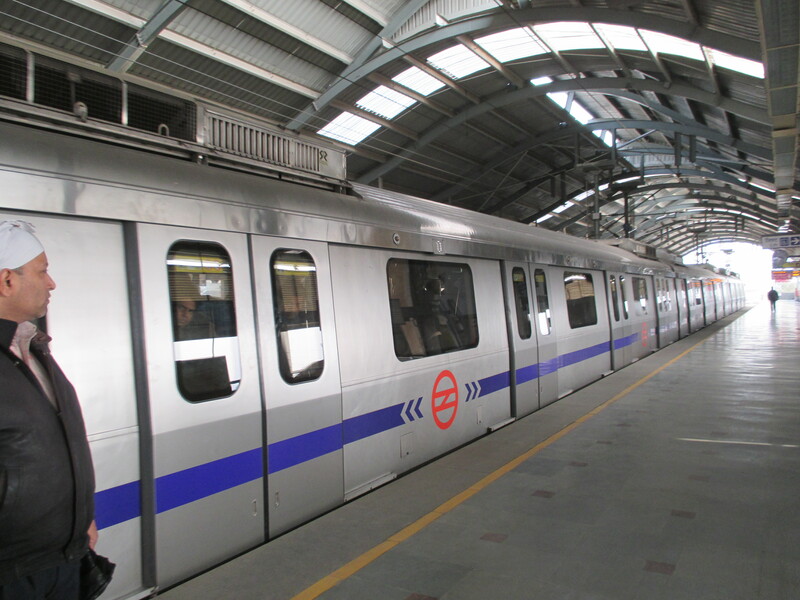 The MTA should take some ideas from the India Metro. Our group is filled with eighteen amazing young adults from the United States. We are a diverse group that is brought together because of a common interest. I am in a group of change makers. We also have amazing faculty that are knowledgeable on the right to public health and other human rights. The picture below shows our group and our faculty including Azim-ji, Bhavna-ji, Gautam-ji, and Archna-ji. “Ji” is used to show respect to our professors. 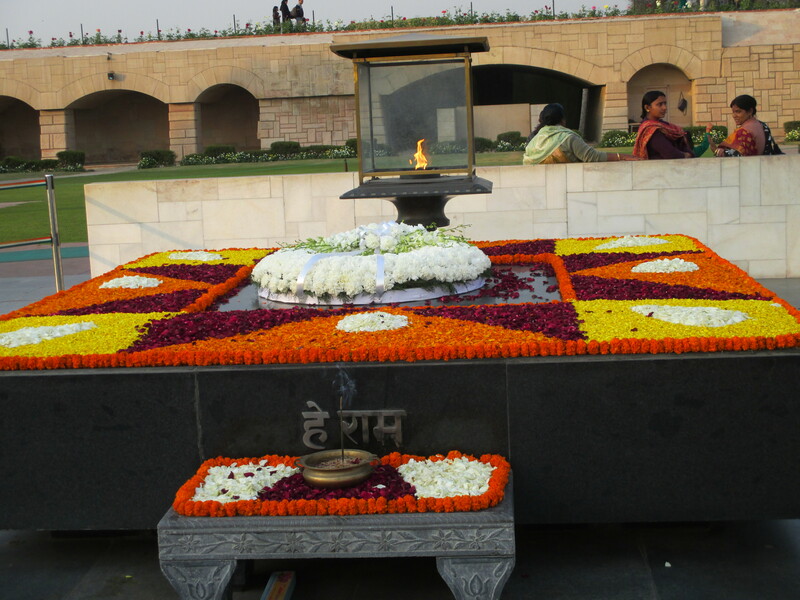 We visited Raj Ghat, which is where Gandhi’s ashes are laid. There is an eternal flame that burns endlessly. Also the last words said by Gandhi are in front of the memorial itself. His last words were believed to be “He Ram” meaning “Oh God”. One of the other places we visited was Delhi Hut which showcases handcrafted materials and food from all over India. 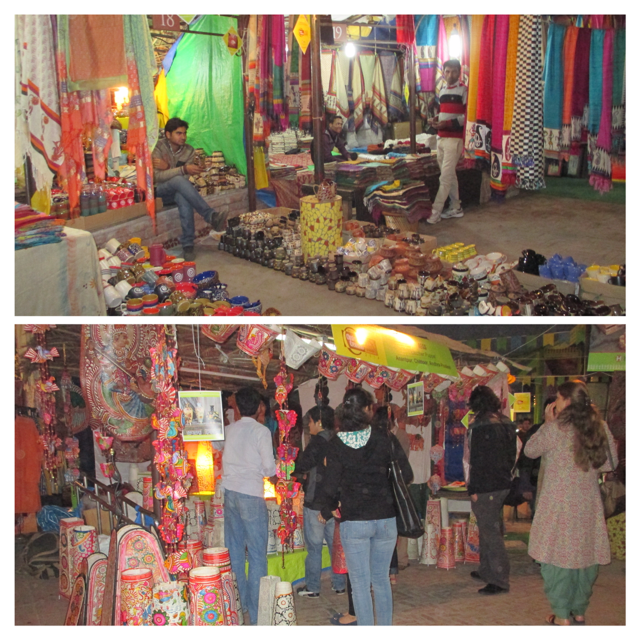 Delhi Hut or the traditional way of spelling it, Dilli Haat is located in South Delhi. People come from different states and neighborhoods to sell paintings, sculptures, clothing, jewelry and many more. There is also a place to find food from different cultures in India. We even met this guy that gave me a keychain for free; he also asked me many funny questions about my family and friends from the United States. He was selling handmade figures and puppets from his village that his father has made. 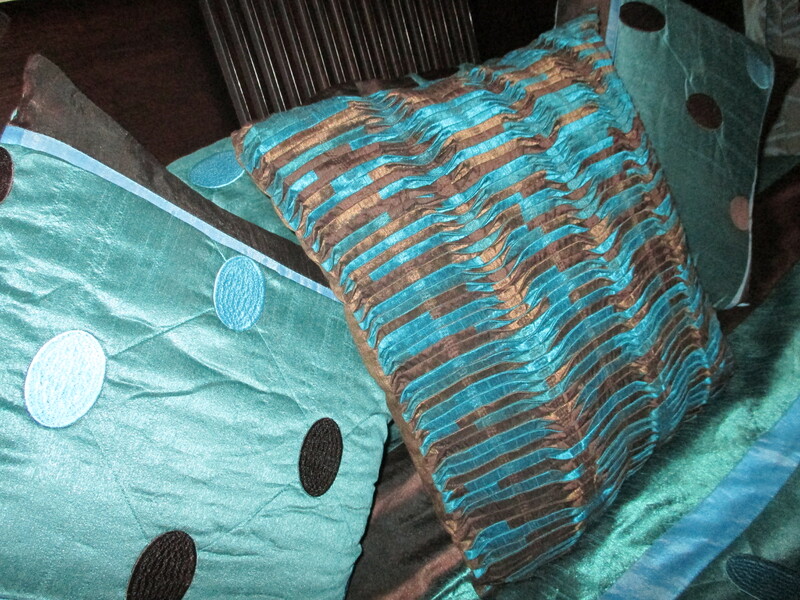 All the crafts we have seen were beautifully made. I’M IN INDIA!! I still can’t believe I am here, but it is real. Yesterday was the first day of orientation and it was the first day we were allowed to leave the “guest house”. Guest house is another name for a hotel. First day of orientation left me excited and motivated for this upcoming semester. The academic director started by saying that the reason we are here is because our karma landed us here. All the effort I put into my last semester and winter break preparing for this trip has payed off because I am currently living my dream. 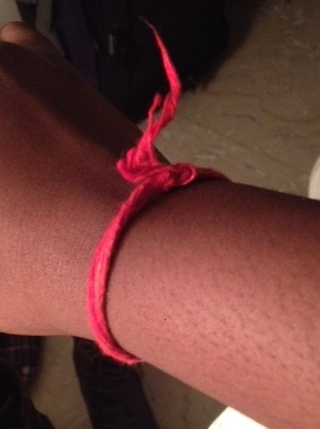 They welcomed us with red paste and rice (Tilakā), red string bracelet (Kalava) and a garland, showing that they will protect and care for us while we are in their country. It was also there way of celebrating a beginning of a long time friendship. 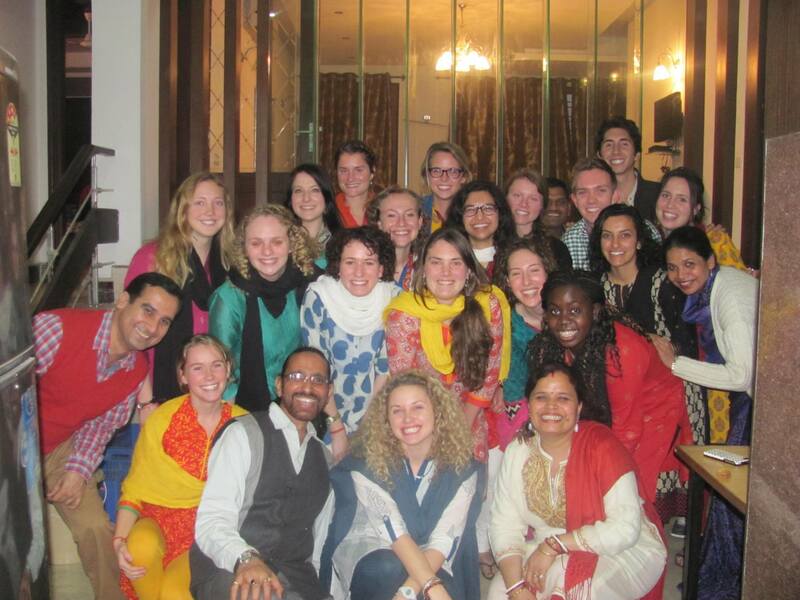 We have many more days of orientation, they include orientations on health, academics, safety, culture, gender, culture shock, and an introduction to India. We will also have some time to tour Delhi! I already took some pictures from the program center back to our hotel, the neighborhood is an up and coming middle class area. There is a mixture of smog, children, dogs, construction. Sunday: My hair after 4 hours of sitting in the hair dressers chair, I decided to get box braids for my months abroad. Monday: My aunt and my cousin visited me to say their goodbyes. 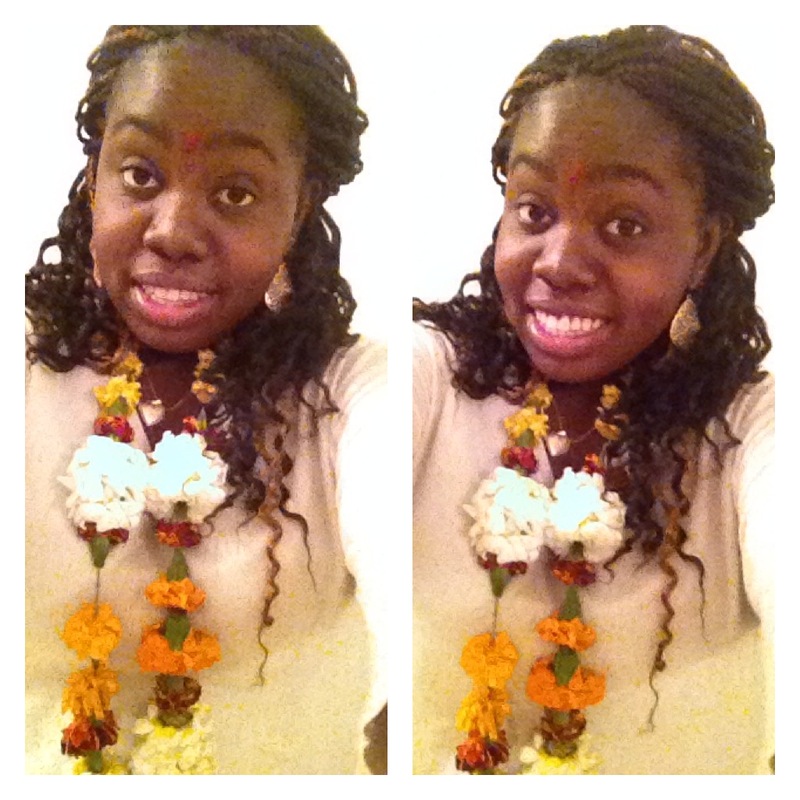 They both left me with gifts that would enhance my experience in India. Tuesday: Last “official date night” with my boyfriend. Went to see Ride Along, it was hilarious! Wednesday: My clothing waiting to be put in my suitcase, the smallest amount I have ever packed. 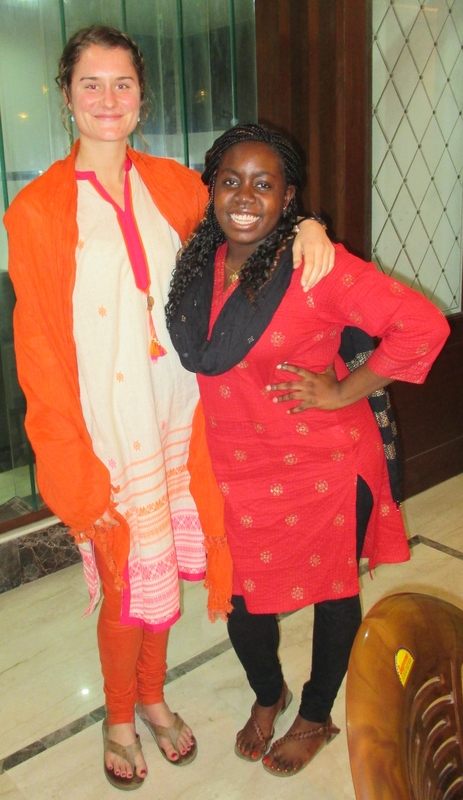 I’ll be buying most of my clothing in India.